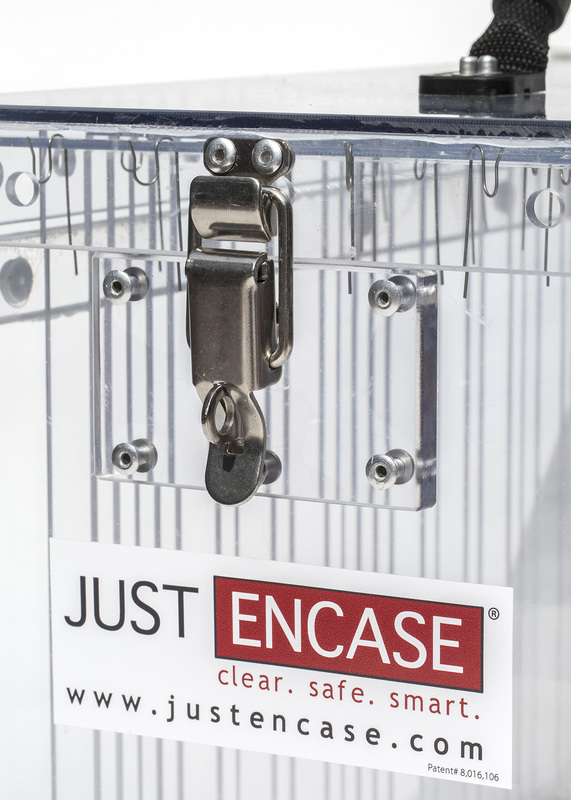 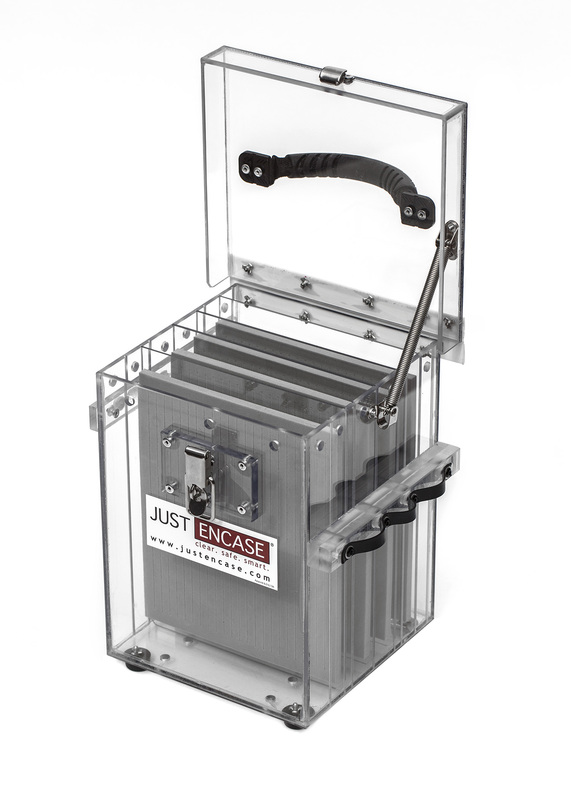 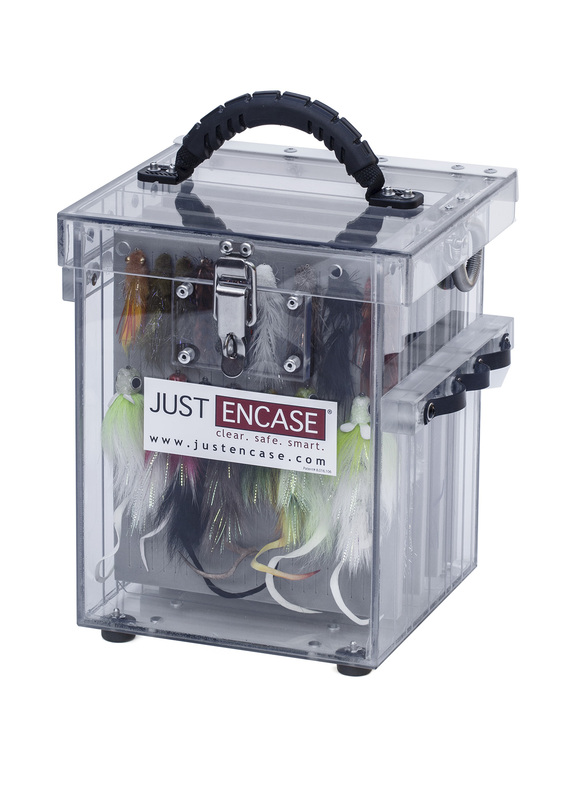 If you fish for pike, muskies, or big saltwater species, you need big boxes for big flies, and the new Just Encase box was designed for just such a duty. 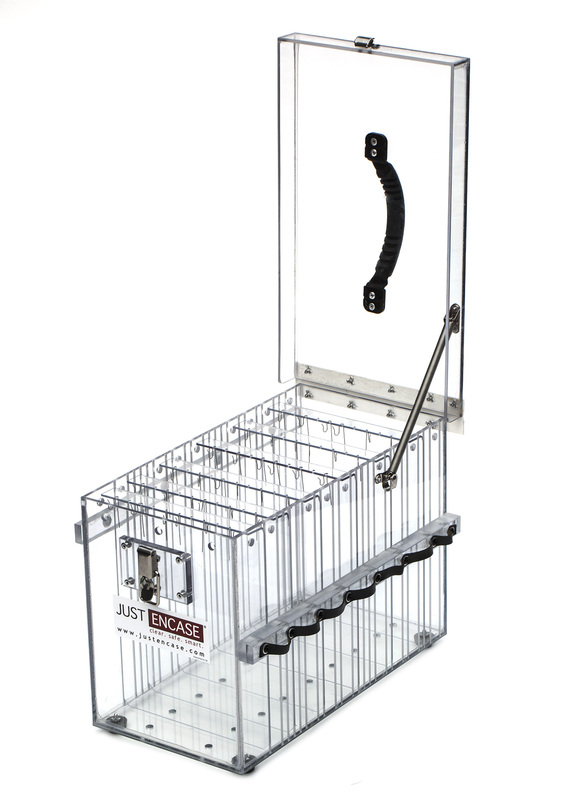 I love this box for organizing and storing the jumbo streamers I often use. 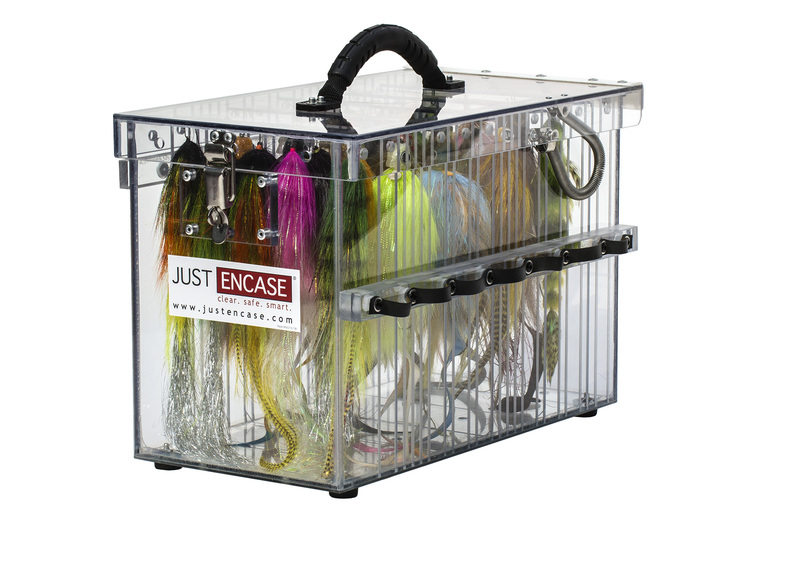 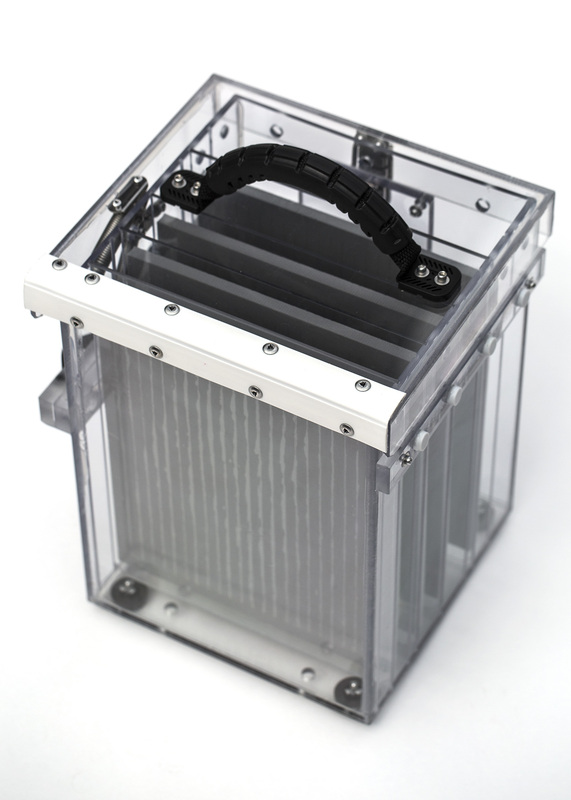 Made from a see-through, virtually unbreakable polycarbonate that protects flies from harmful UV rays that cause material to fade, the box features removable sleeves, a tool caddy, and magnets at the top for drying flies. 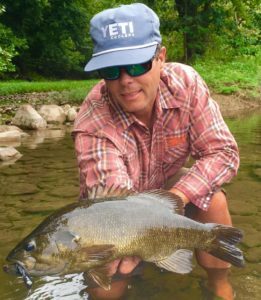 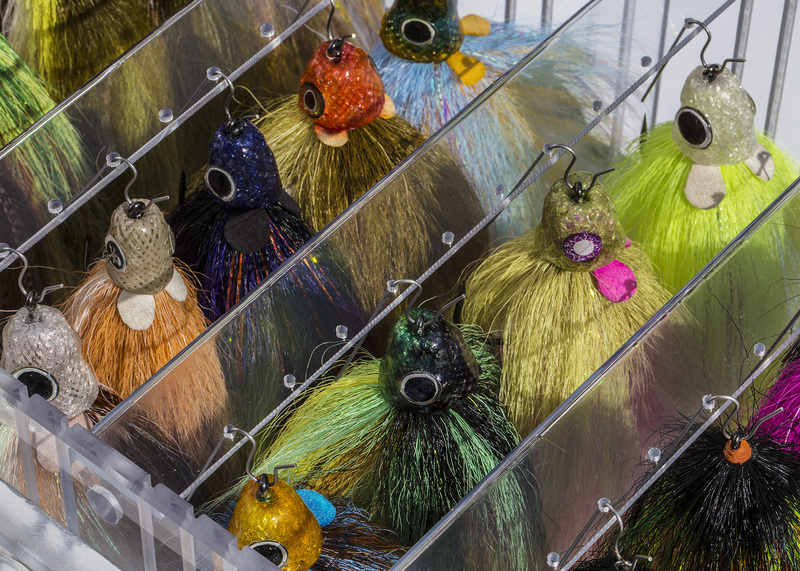 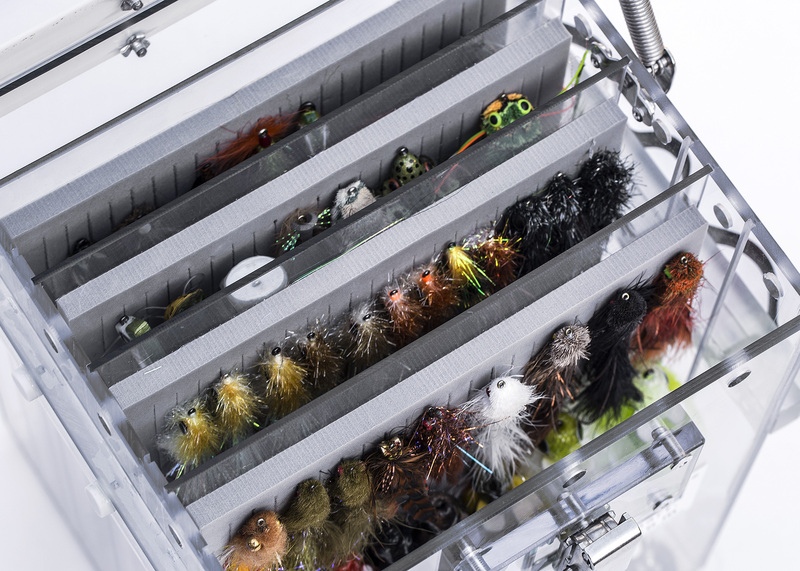 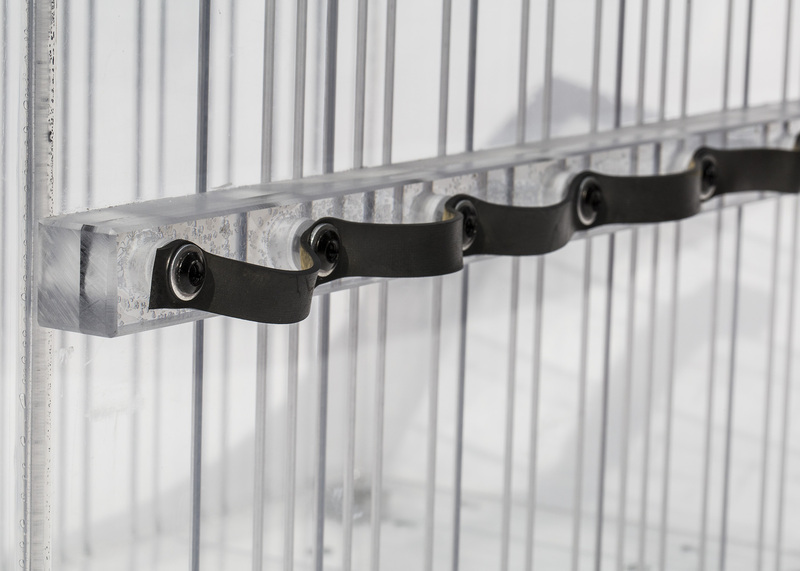 Vent holes at the top and bottom permit air circulation and water drainage to protect hooks from rusting, while also allowing your expensive flies to dry in an upright position, with no danger of being damaged—not an option with a traditional fly box. 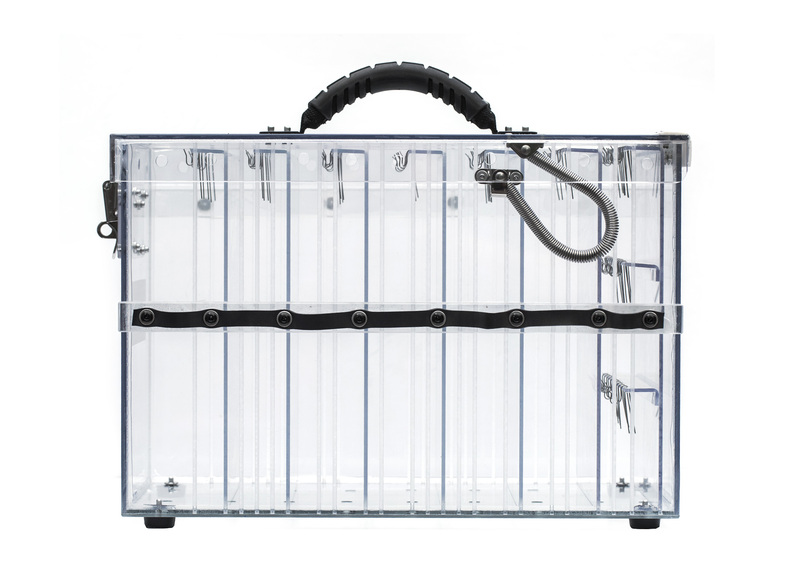 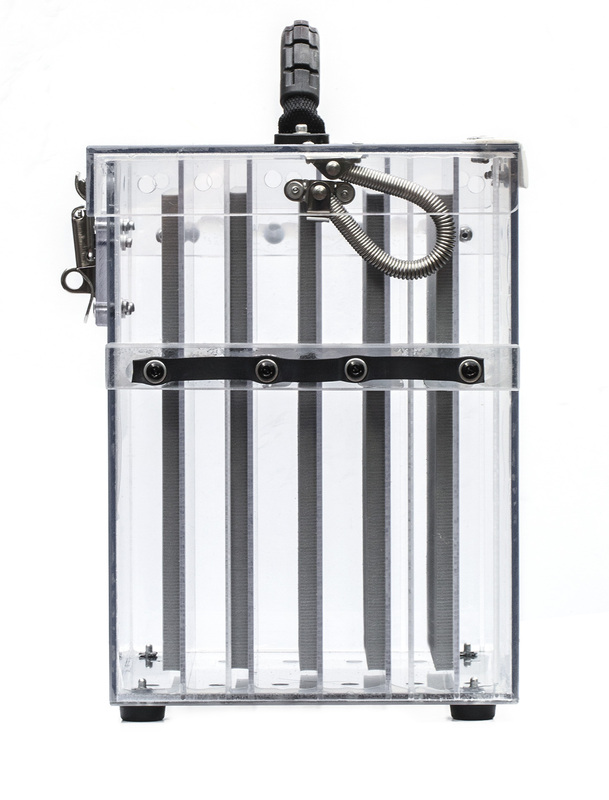 The large box ($185) has eight fly holder/hanger inserts, and you can choose slotted foam, stainless steel hangers, or neodymium magnets to hold your flies; the inserts and hook hangers are adjustable to accommodate flies of any size. 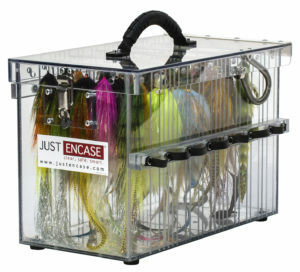 The small box ($135) comes with your choice of hook hanger inserts or four slotted-foam inserts. 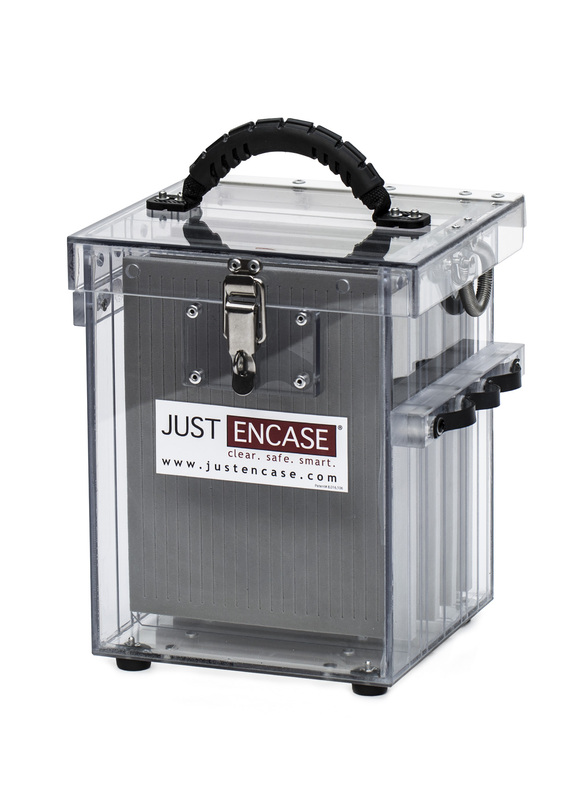 Both boxes can be customized. 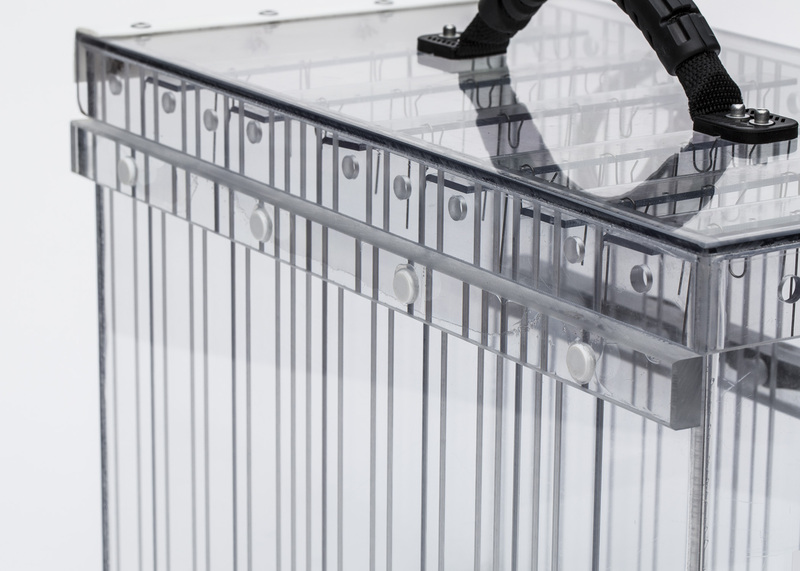 All of the joints are reinforced and solvent welded. 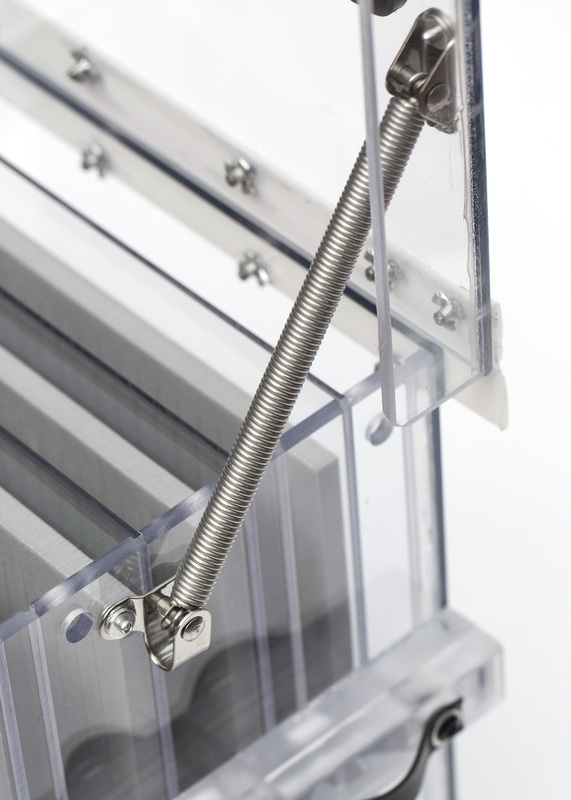 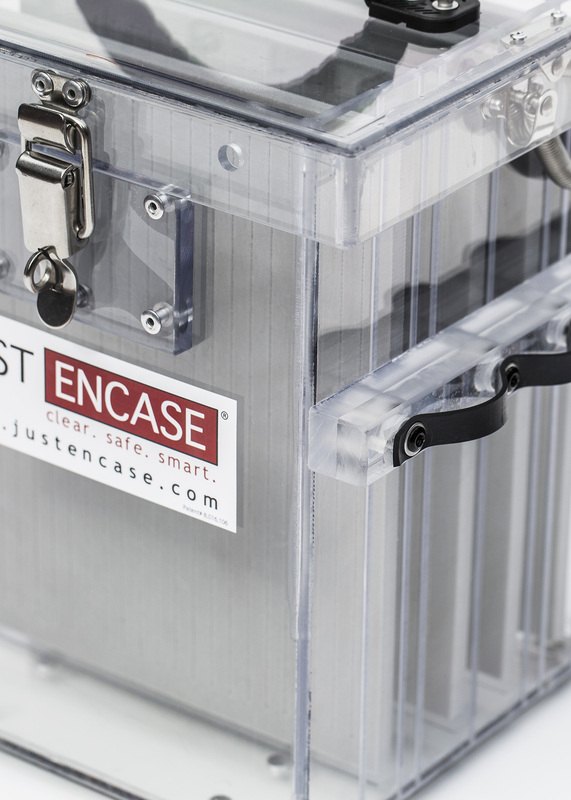 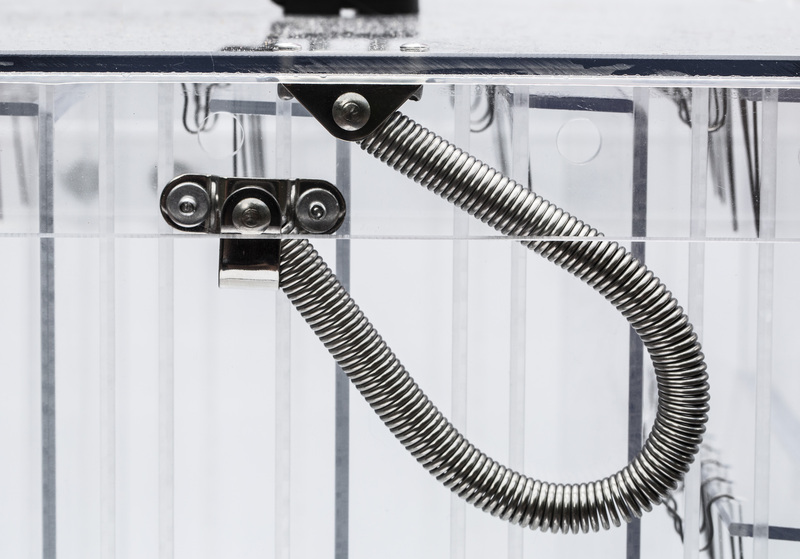 The lid is attached with a tested and proven PolyHinge. 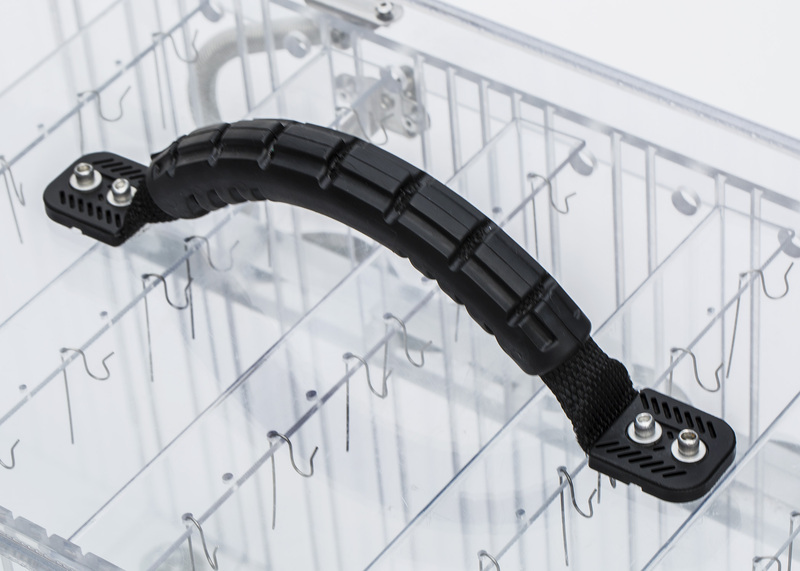 Anti-skid rubber feet raise the box off the boat floor and keep it in place when you’re on the move. 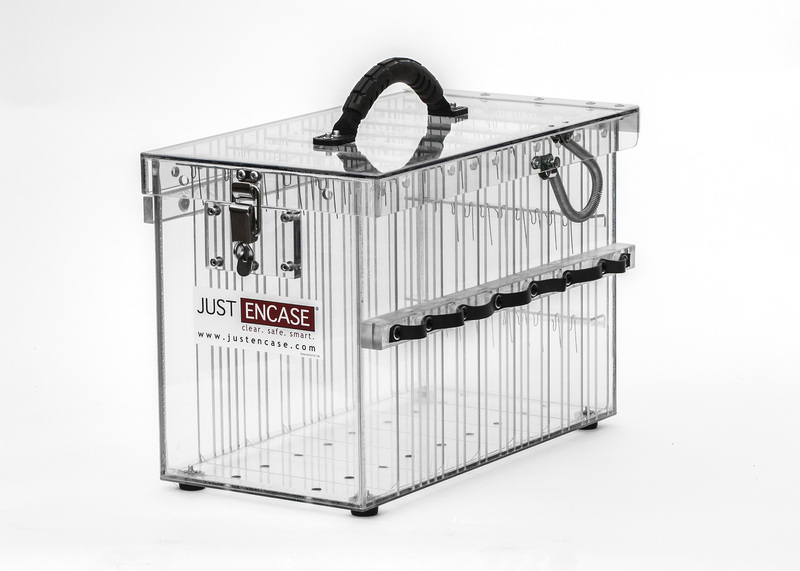 Buy Now by Visiting our online store! 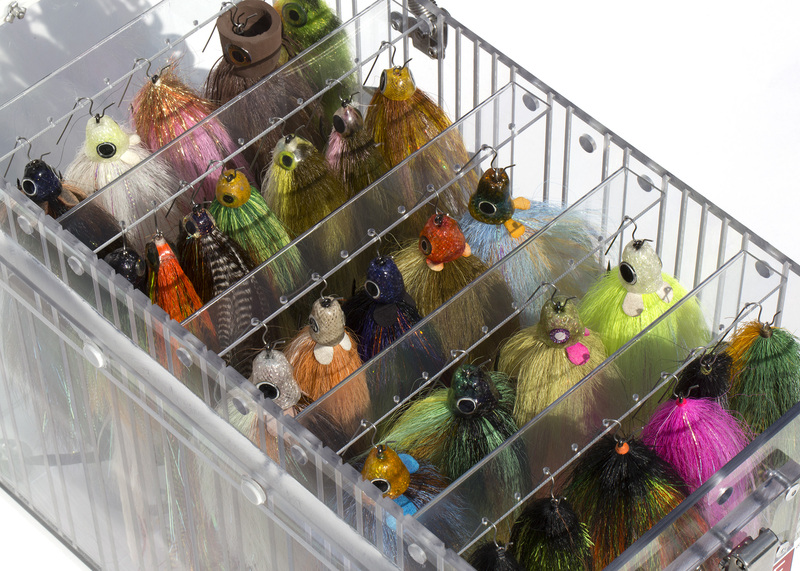 Small Fly Box Instagram Review!